The DFH1 was China's first production diesel-hydraulic passenger locomotive with over 100 produced by Sifang between 1964 and 1972. They were single-ended B-Bs developing 1350HP from a pair of high-speed engines and ran in pairs coupled back-to-back on the Shenyang - Beijing route. By the late 1980s they had been displaced by more powerful locomotives. 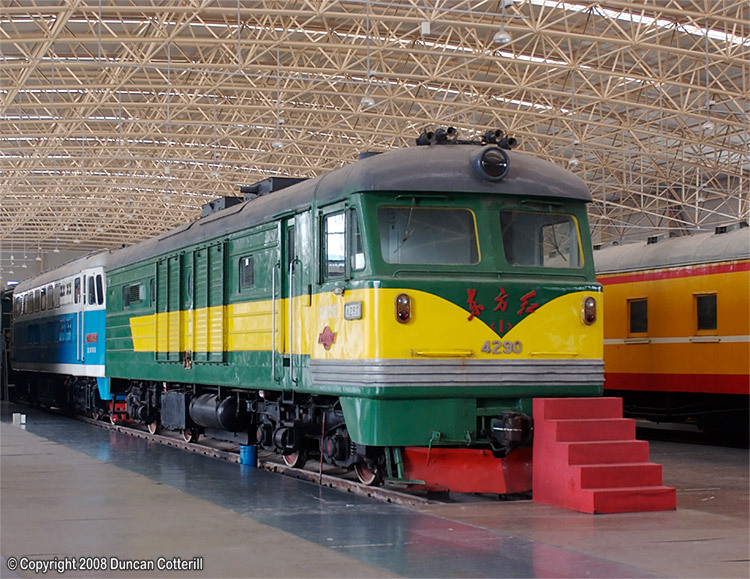 DFH1 4290 was photographed at Beijing Railway Museum on 22 October 2008.